Lynair pays prompt attention to our customers' custom cylinder requests. 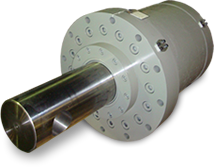 Often, a modified standard cylinder can be supplied to replace a custom cylinder. Lynair's experienced engineers have an extensive library of designs to draw upon in supplying your custom cylinder needs.